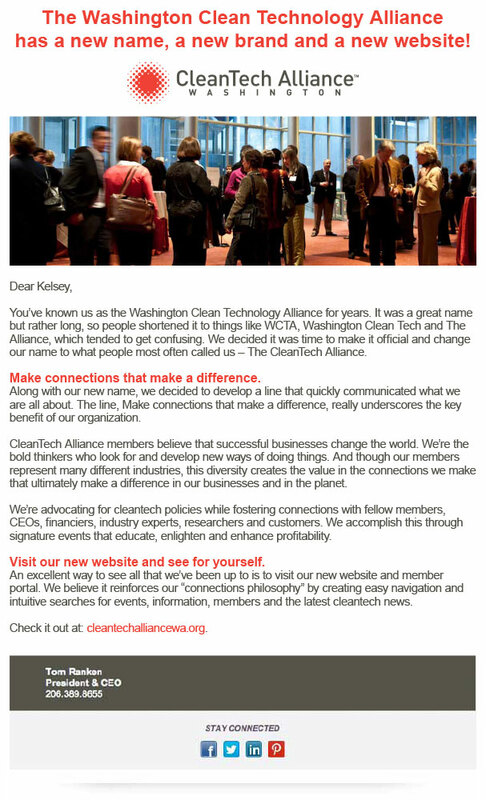 "Make connections that make a difference"
Description of Work Co-founded in 2005 by Gail 12s and others as the Washington Clean Technology Alliance, this organization reached the size and complexity where it needed a fresh brand and more targeted messaging. 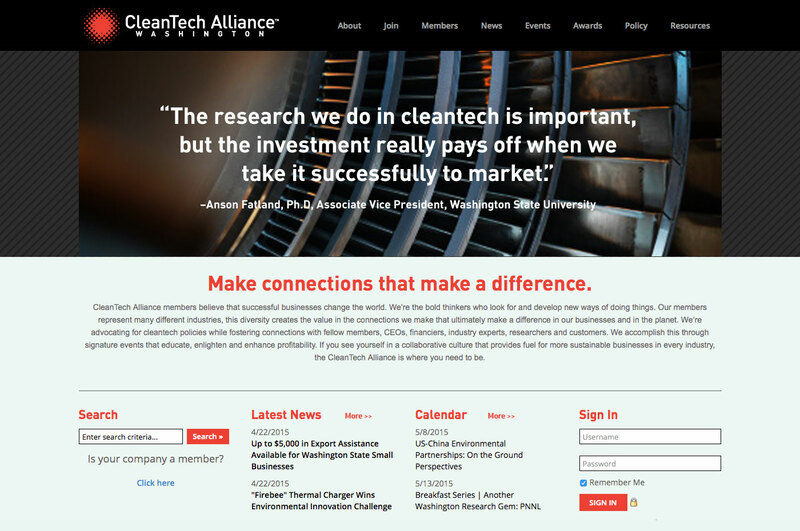 As part of the brand, the 12s team proposed a shorter, more intuitive name, developed a new logo, brand statement, graphic and messaging style, website and business materials designed to promote it’s clean tech members to the global marketplace. 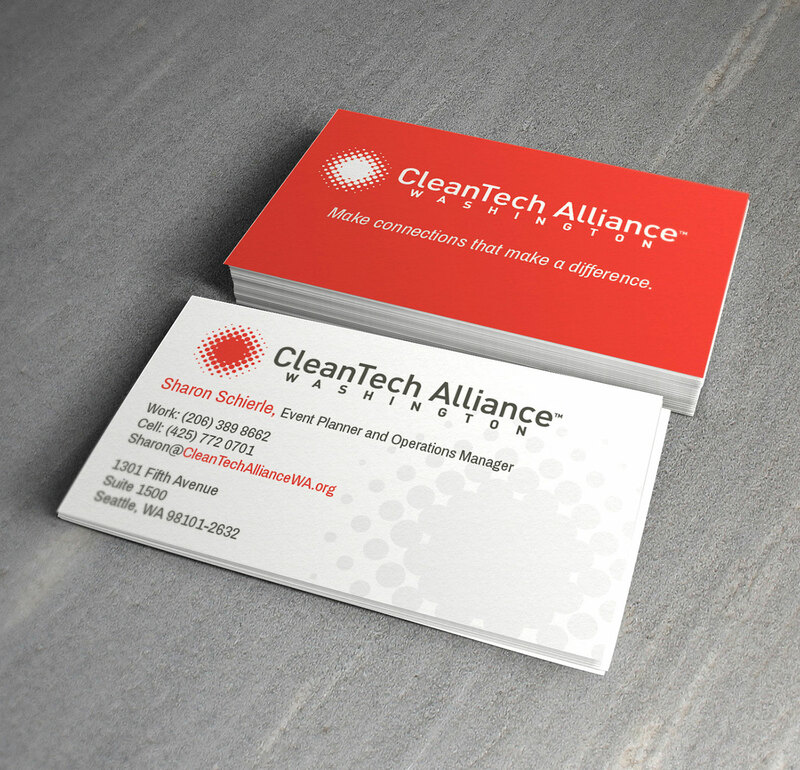 Membership since has grown substantially as has its staff and legislative influence.